The second game is so close that every point means so much. Literally pounding sand is about as helpful as the idiom for poor frustrated Claire. 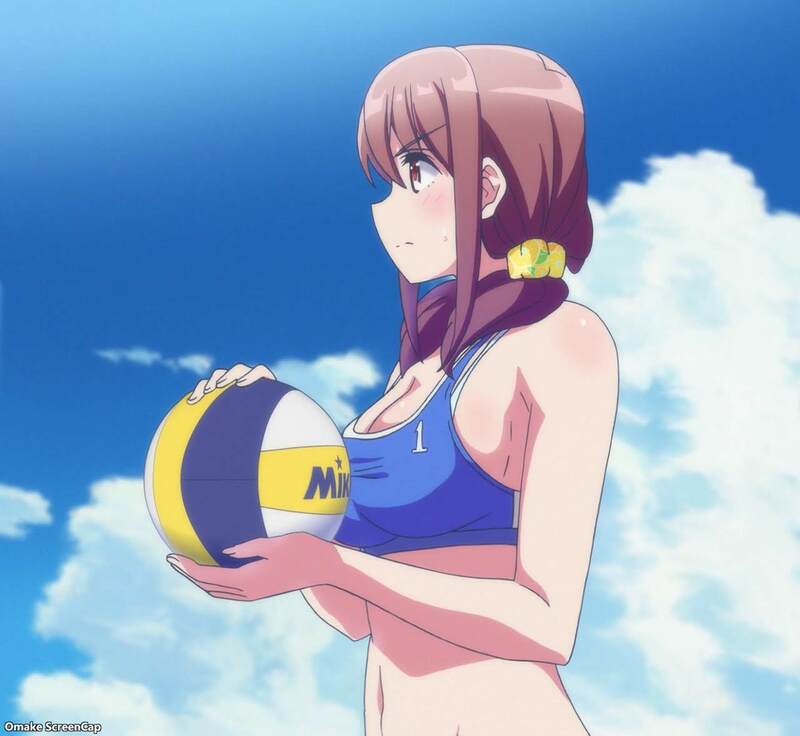 Harukana lost the first game, but they didn't lose their confidence. Claire's little flashback showed how much she enjoyed Narukana's rivalry, which Mama Marissa said was going to really help her and Emily get better. Kanata lost her fiery eyes as she stayed short and quit volleyball, so Claire was really happy to see the old Kanata across the net. The second game was about as close as the first, but it was Haruka's awesome block that got game point. While Mama Marissa is watching her girls from America with some red wine, Narumi has to practice and settle for texts from Akari. The third game is first to 15 instead of 21, but they still have to win by two. Haruka drove in some points by using the wind and topspin, but Eclair finally got a read on the ball, so the match turned into a slug fest with lots of errors on both sides. Eclair had the first match-point, but Claire still wanted the match to last forever. She didn't count on Kanata granting her wish, at least for one more deuce defense, because Kanata was the least tired one on the court. So now being small has its advantages giving Kanata more stamina than the big bodies of Haruka, Emily, and Claire. We've got one more episode to show the match winning point.